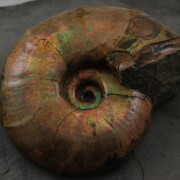 Beautiful Ammonite in great detail. 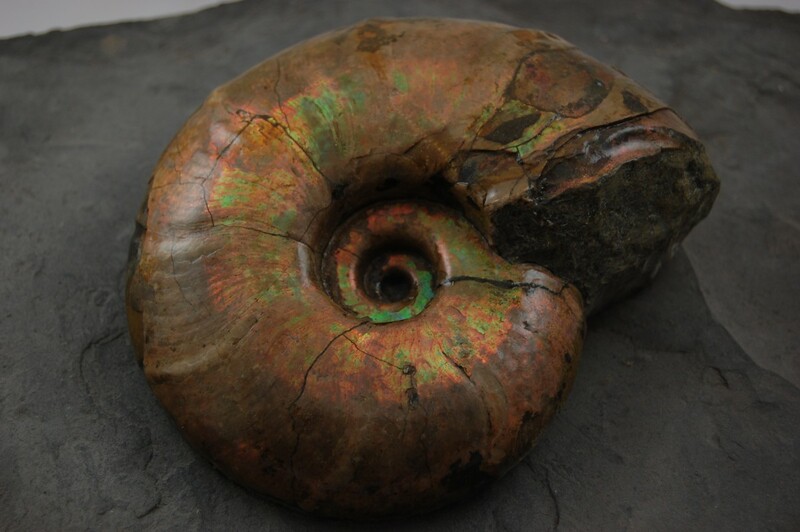 The shell has a wonderful rainbow iridescence and is set into a dark matrix. 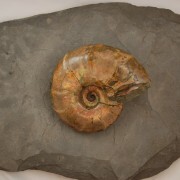 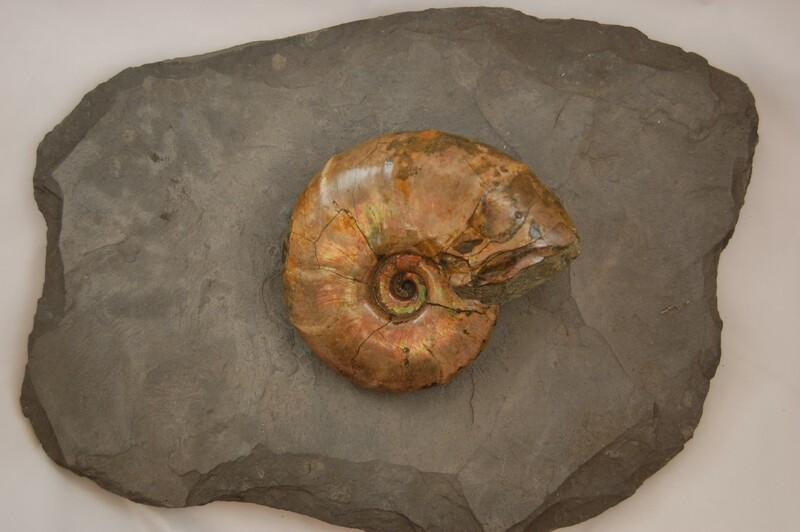 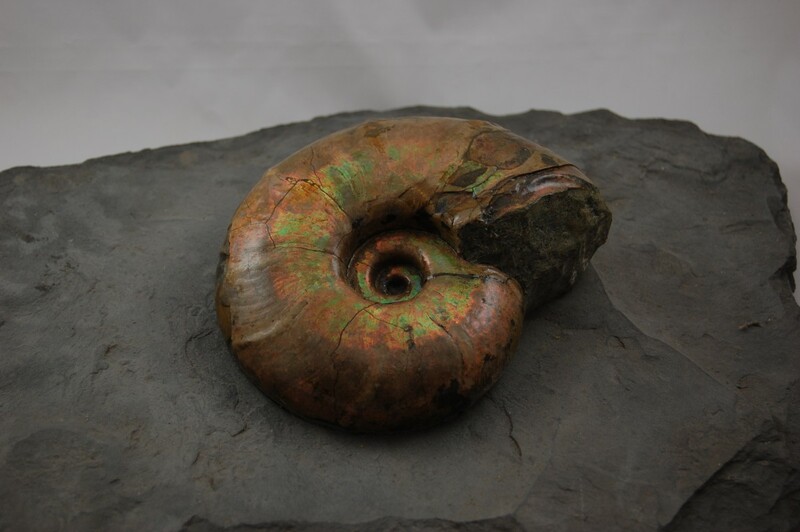 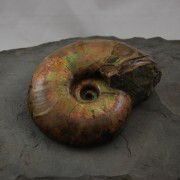 The Ammonite is 13cm diameter with the matrix being 26 x 32cm.